What do we think of when we think of a leader? What does leadership look like in 2017 and beyond? Leadership requires a host of capacities and strengths, many of which have been termed "soft skills," or the more modern "core competencies." Decision-making, problem-solving, team-building, management, foresight, planning, organization, communication, responsibility and motivation are often integral to the various dimensions of leadership seen in our communities. In recent years there has been a renewed focus on these core leadership skills, for which there is a need in all sectors, organizations and institutions. Much like any issue that finds itself rooted in structural and systemic discrimination, women's access to leadership has long been seen as being about individual choice and personal ability. Women are told to "step up," "lean in," to "play the game," and to make themselves listened to and respected. 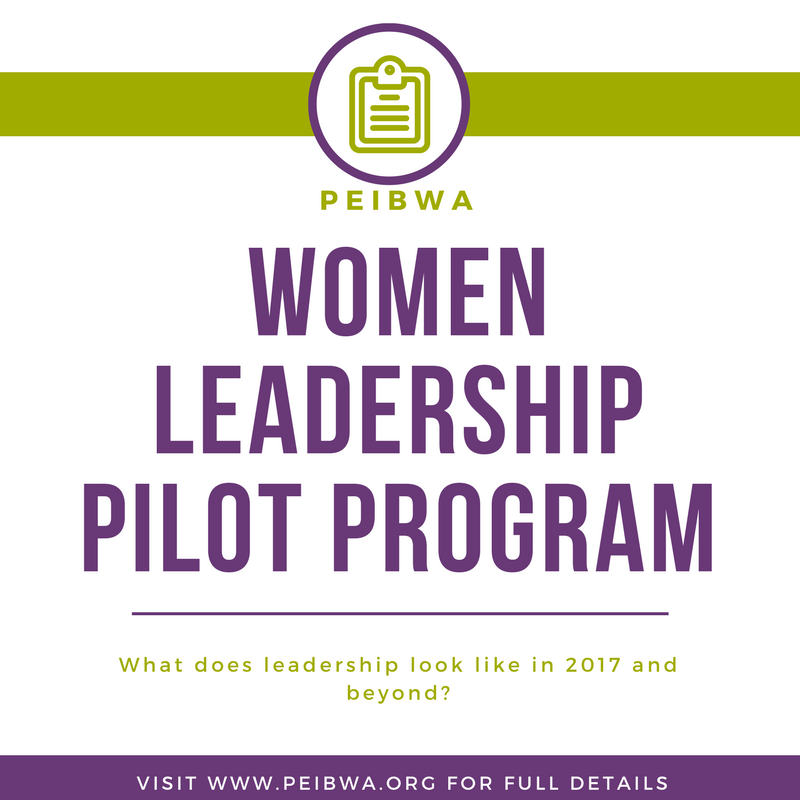 While developing leadership skills is an important task, PEIBWA believes it is also critical to examine the structures, environments, atmospheres and collective attitudes that allow for underrepresentation of women (and other marginalized groups) in leadership. While PEI has some impressive milestones in women's leadership - with the first ever elected female premier in Canada - women are still underrepresented at all levels of government (with the exception of band councils which have, in the past, had between 50% and 100% women councilors). Most organizations in the non-profit sector are staffed and headed by women. However, representation in management and senior positions within the province's civil service is considered lacking, and in the private sector, women still face disproportionate challenges accessing capital to start and grow businesses. In some ways, Island women experience less inequity than women in other provinces, but there are still many opportunities to improve the representation of women in all forms of leadership on PEI. The PEI Business Women's Association has long supported Island women in all sectors, and this newest program looks to the future with a focus on its younger members. The program will take place over eight weekly sessions, with each week focusing on an area of leadership, like politics and culture. Enrollment in the program will be covered by the Association, and a recognition of completion will be awarded to participants. Deadline to apply is November 10th at 12pm.